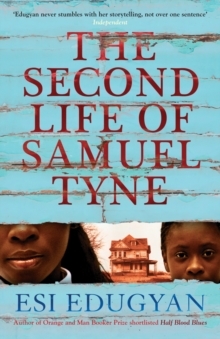 SHORTLISTED FOR THE MAN BOOKER PRIZE 2018WINNER OF THE GILLER PRIZE FINALIST FOR THE CARNEGIE MEDAL AND THE ROGERS WRITERS TRUST FICTION PRIZELONGLISTED FOR THE WALTER SCOTT PRIZE 2019New York Times Top Ten Book of the Year 2018'A masterpiece' Attica Locke'Strong, beautiful and beguiling' Observer'Destined to become a future classic ... that rare book that should appeal to every kind of reader' GuardianWhen two English brothers take the helm of a Barbados sugar plantation, Washington Black - an eleven-year-old field slave - finds himself selected as personal servant to one of them. The eccentric Christopher 'Titch' Wilde is a naturalist, explorer, scientist, inventor and abolitionist, whose single-minded pursuit of the perfect aerial machine mystifies all around him. 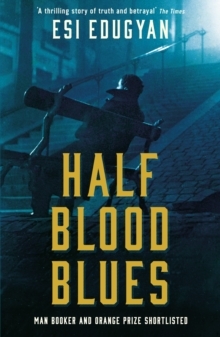 Titch's idealistic plans are soon shattered and Washington finds himself in mortal danger. 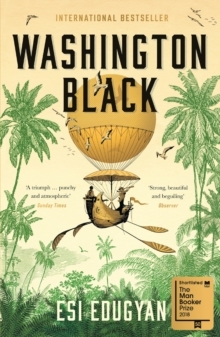 They escape together, but then Titch disappears and Washington must make his way alone, following the promise of freedom further than he ever dreamed possible. 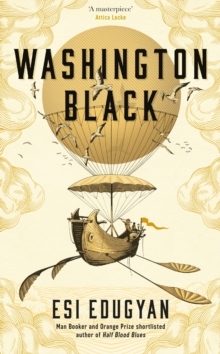 Inspired by a true story, Washington Black is an extraordinary tale of a world destroyed and made whole again.